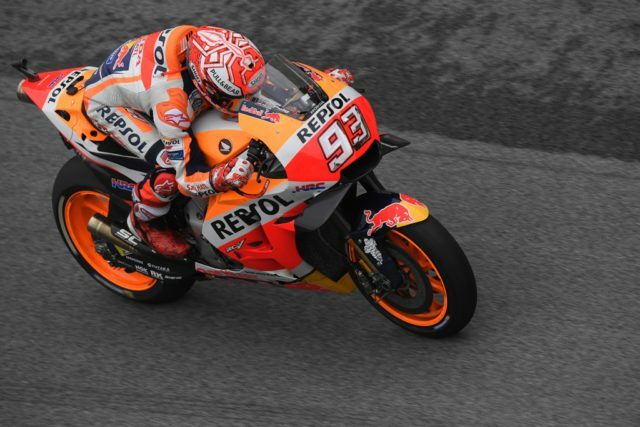 Marc Marquez took a historic 80th pole position across all classes, despite the tricky conditions that affected qualifying day at Sepang. Nonetheless, he’ll start tomorrow’s race from seventh place on the grid after receiving a six-place penalty. 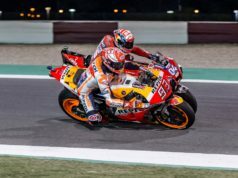 The stewards decided that Marquez was riding in an irresponsible manner – being slow on the racing line and disturbing another rider (Andrea Iannone). Fair weather is rarely an enduring condition in Malaysia. The two sessions on Friday were sunny. FP3 this morning also was on a dry circuit stint. Then the MotoGP field encountered the weekend’s first rain in FP4. That shower was just a warning, as heavy rain soon followed. That forced Race Direction to postpone qualifying proceedings by over an hour. 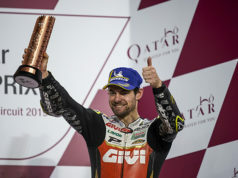 Q2 started at 4:30 p.m. and Marc was able to set a time that proved untouchable for his opponents. — MotoGP™??? (@MotoGP) 3 ноември 2018 г.
Johann Zarco was second while Valentino Rossi gave the third best time. 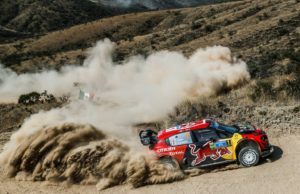 “We started with soft-soft and could see that Aleix (Esparagaro) went well with these tyres. I tried to do it, but it didn’t work and I said to myself, it’s not normal that I’m that slow. So I stopped to change to the other bike and asked to put in the medium rear. We already planned to use the harder front tyre. From the first lap, I knew something is possible. On the last lap, my feeling was great, but I was sliding on the rear in turn three and in turn four. I got quite some signals and lost a few tenths, so I wasn’t sure if I could have done the lap time of Marc (Marquez). Anyway, it was great. I enjoy the second place and wish for a podium tomorrow”, Zarco explained. #MotoGP Sporting Director explains Sepang schedule change ?